Gluten is the main storage protein of wheat grains. Which is actually a complex mixture of hundreds of related proteins, mainly gliadin and glutenin. Similar storage proteins exist as secalin in rye, hordein in barley, and avenins in oats, which are collectively referred to as "gluten." Gluten is found in the endosperm (a type of tissue produced in seeds that are ground to make flour) and nourishes plant embryos during germination. Later on, gluten affects the elasticity of dough. It helps maintain the shape of the food, acting as a glue that holds it together. This is why gluten can be found in many types of foods, even ones that would not be expected! The big three ingredients where gluten finds its way into our diet are wheat, barely, and rye. This implicates a large number of foods. Wheat is present in foods like breads, pasts, baked goods, soups, cereals, sauces and salad dressings. While barely is an ingredient in many popular foods like malt, which is used in malted barley flour, malted milk and milkshakes, malt extract, malt syrup, malt flavoring and malt vinegar. Beyond that, barley is also a main ingredient in beer, soups, food coloring and brewers yeast! That is a lot of foods that people with celiac disease have to avoid. A lot of tasty foods too! I know I can be a glutton for gluten when there are fresh baked goods around! But at what cost? Research is now showing that there is evidence for gluten sensitivity in non-celiac patients. Most patients report both gastrointestinal and non-gastrointestinal symptoms. All of which report improvement of symptoms on a gluten-free diet. 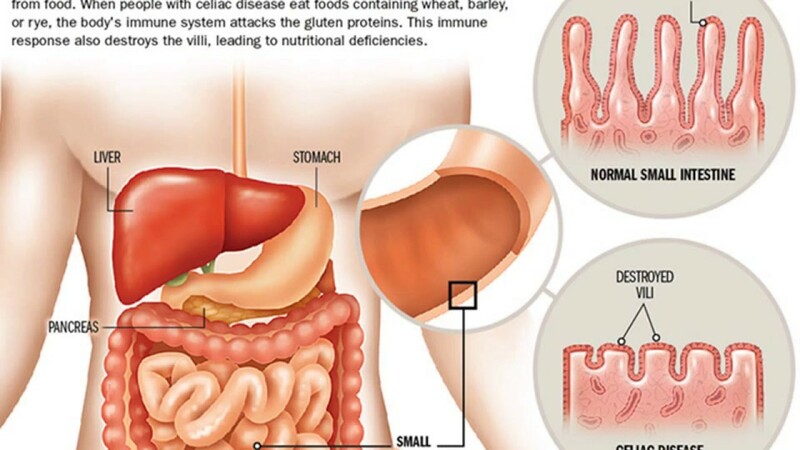 This clinical condition has been named non-celiac gluten sensitivity (NCGS). It doesn't end there! There is research supporting the beneficial effects of gluten-free diets in reducing adiposity gain, inflammation and insulin resistance. The data suggests that diets with gluten exclusion should be tested as a new dietary approach to prevent the development of obesity and metabolic disorders. I may have saved the best research for last. It is definitely the most surprising, not only to me, but the researchers who discovered it as well. This comes from a report of the unexpected resolution of longstanding schizophrenic symptoms after starting a low-carbohydrate, ketogenic diet. After a review of the literature, possible reasons for this include the metabolic consequences from the elimination of gluten from the diet, and the modulation of the disease of schizophrenia at the cellular level. In the end, the risks from the gluten in those foods you love may outweigh the reward your taste buds give you. This is why we make sure that all of our products here at Organic Muscle are Certified Gluten Free. Giving them none of the risks, with all the rewards that better health and fitness can bring!